Is Fluffy urinating on the rug? Is Brutus a little grumpy? Does Chloe chew everything when you leave her alone? Barking, biting, chewing, aggression, inappropriate urination or defecation, or any other destructive or undesired behavior may be a symptom of another problem. 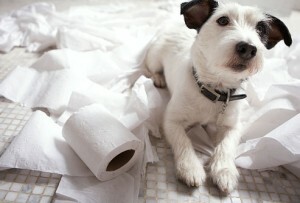 Sometimes an illness or injury can cause a change in your pet's behaviors. There are times when these issues are truly a behavioral change, but there are options. From training recommendations to medications, we are always here to help with pet behavioral counseling.